Side effects of vitamin D supplements – Are there any? The latest research and studies are confirming the health benefits of vitamin D supplements. From the prevention of chronic disease, to bone health, arthritis pain relief, lower cancer risk, and even Alzheimer’s prevention, vitamin D offers some promising health benefits. Whether you get your vitamin D naturally from the sun or in the form of vitamin D supplements, it is extremely important to maintain optimal levels. Since most people do not spend enough time outdoors, a vitamin D supplement is usually recommended. Here’s the good news. Vitamin D supplements are considered safe. When taken according to the recommended daily allowances (RDA), there are generally no harmful side effects of vitamin D supplements. However, it is possible to overdose on vitamin D. Vitamin D toxicity almost always results from overuse of supplements. People with certain pre-existing conditions can run the risk of high levels of calcium in the blood which can result in conditions such as kidney stones or rashes. Those with kidney or liver disease, tuberculosis, sarcoidosis or hyperparathyroidism should consult their doctor before taking vitamin D supplements. 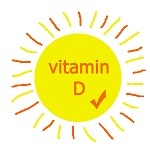 You should discuss the benefits and side effects of vitamin D supplements with your healthcare provider. They can help you determine the proper dosage. Get out there and enjoy the sun and if necessary take a vitamin D supplement from a reputable company such as Solgar, Twin Labs or Nature’s Plus.